After completing the Whole30 challenge, I decided to share with you a few of the kitchen contraptions that helped me survive! This was an interesting purchase, recommended by Leah of Naturally, Leah. It came in handy for making zoodles (zucchini / courgette noodles) which were the replacement for pasta in my life. The mandolin slicer also sliced plantain thin enough to make plantain crisps baked in the oven and sliced my cucumbers in a record time for my salads. 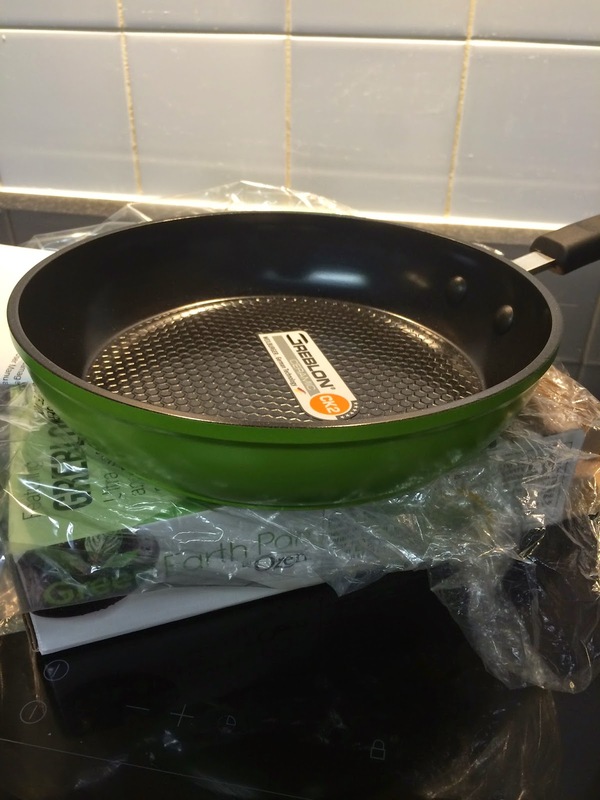 A good pan is a life saver when you are pretty much cooking every meal, every day. This pan comes in most useful when making breakfast for one. I’ve recently upgraded to one of Joe Wicks’ pans / skillets and it’s just beautiful – non stick (more so when you use oil – my favourite being coconut oil), perfect weight, a dash of colour and free of any harmful chemicals which usually make cookware non stick! 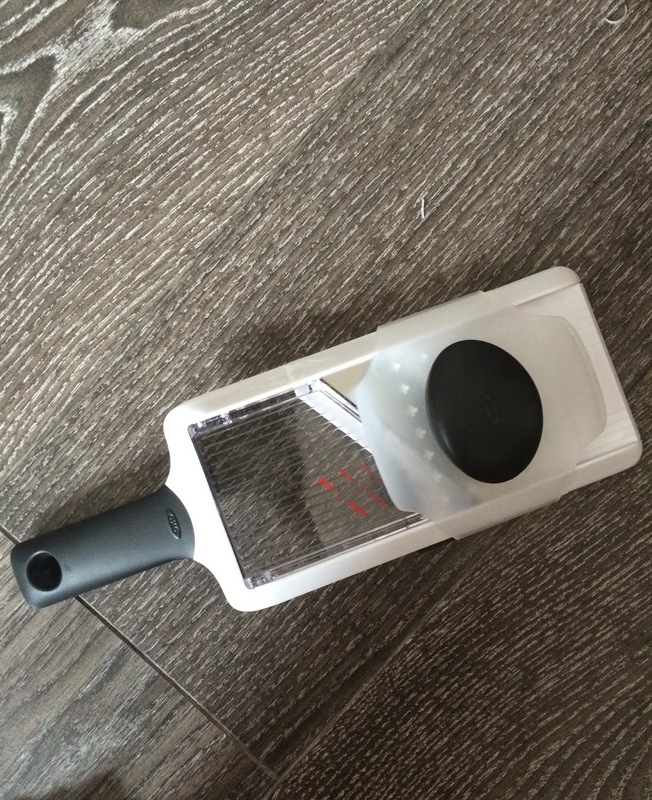 It’s super easy and quick to clean which helps me get out the kitchen that little bit quicker. They’re available pretty cheap from Very.co.uk and also some exclusively pieces can be found at John Lewis. …just kidding! But my handheld blender has like 3 or 4 attachments! 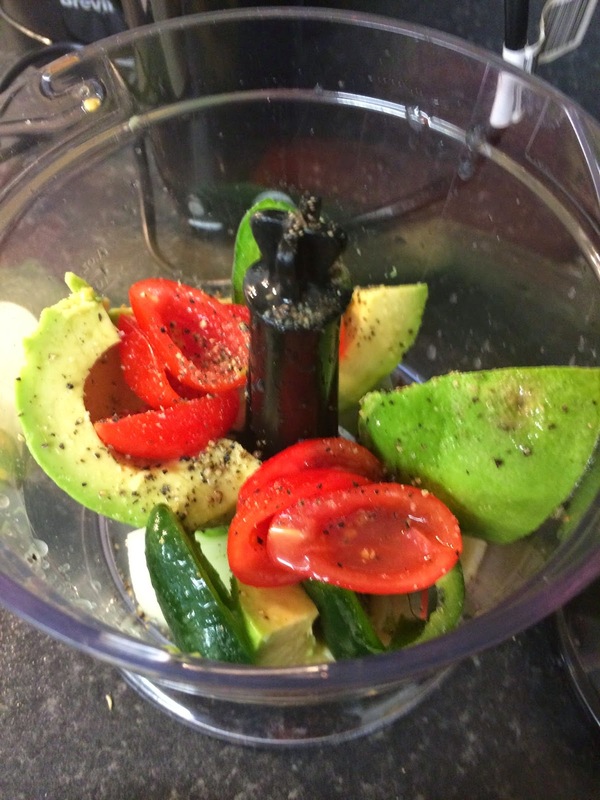 The blender in a jug is my favourite – it helps making guacamole a breeze. It also comes with a whisk attachment and the hand blender is perfect for making soups. This one by Braun looks like a good (and reasonably priced) option. What kitchen contraptions could you not live without?! I have a spiralizer that I could not live without – although I had not thought of using a mandolin slicer. I CANNOT for one second LIVE WITHOUT… MY OVEN ha ha ah! But I also cannot live without my skillet/ or a baking/broiling pan… And a KNIFE!! ha! There are so many kitchen utensils I could not live without in addition to the blender, frying pan sand mandoline. Whisk, hand mixer, flat-edged wooden spoon, spatula/pancake flipper, electric knife sharpener, chef’s knife, small paring knife, serrated cake knife, saw-toothed bread knife, toaster, vegetable peeler, silicon scraper/spatula, large soup pot, mixing bowls, casserole dishes, baking pans, pie plates, cake tins. kitchen shears. These are the things I use the most. And though I rarely make baked apples, there is simply no substitute for an apple corer. And if you need to recork a partly used bottle of wine, you’ll absolutely need a stopper or two. I find that I have used my food processor hardly ever. Mostly it just takes up space on the counter. Hey Daisy! Thanks so much for dropping by! 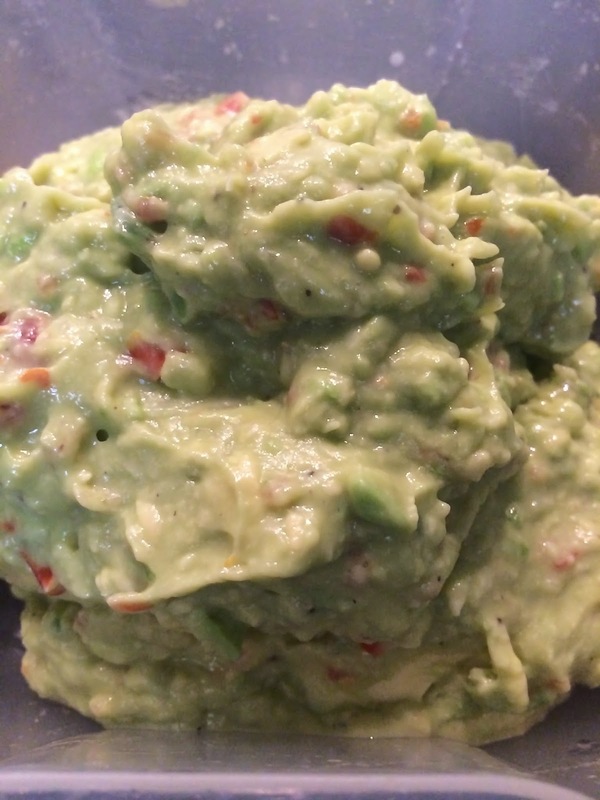 …this post is specifically related to the Whole30 diet. So yes, we all own most of the things you listed, but the cooking requirements of whole30 are a little simpler with these particular 3 utensils. p.s we can’t drink wine while on whole30 😉 nor eat bread, cake, pies… apples would be eaten in applesauce added to a dish or fresh!